Have You Considered a Garage Renovation? Summer may be around the corner, but it is never too late for some spring cleaning. If you are struggling to get out of your car every time you park it in the garage, or just see potential for a better workspace underneath that mess, a garage renovation may be a project you should consider investing time into. Here are some ideas and steps to get you started. Over the years, you may have accumulated some things you do not need anymore. See if there are any items that you no longer need, and give them away or sell them on Craig’s List, if possible. Items that you use on certain occasions, like Christmas decorations, should be stored in the attic, if you have one. Give the garage a good sweeping as well. 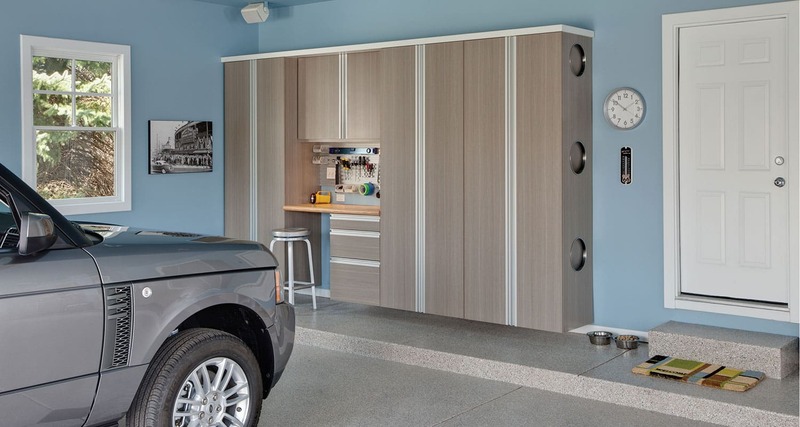 Organize the Garage to Suit Your Personality! Garages do not have to be dull. Besides hanging up decorations, look into painting your garage or giving it some flavor. If you have the budget, install new flooring for an upgraded look. When it comes to renovation, look at some extreme examples to get you inspired. People have renovated their garages into offices, second homes, and even kitchens! While you may not go that far, looking at some examples may get the creative gears in your head turning. When renovating, you may need electrical wiring installed. Unless you are experienced, this is perhaps not something you want to do yourself. Besides the potential danger, you may not know proper electrical code, creating a dangerous fire hazard. A contractor can map out where you need electricity, estimate the cost, and install it for you using the latest code. Adding a sink (or bathroom!?) to your garage? A professional can tell you how easy, or difficult, it will be to install a new plumbing system, and give you the best course of action to do so. Never attempt to take apart your walls unless you have a pro by your side. A garage renovation can be a fun way to use your free time, but if the project is too big, it can waste more time than it is worth. A professional will do all the work while you go about your day. It is good for when you are a workaholic who cannot renovate no matter how much you manage your time. Have you ever put together a shelf and ended up with a lopsided mess? A professional can build drawers, shelves, and other accessories and keep them stored for a long time. If you do it yourself, you may end up with a mess! For DIY projects, you may have a plan in your head that will turn your garage into something amazing. But halfway, you realize it was awesome in theory, but not so much in practice. With a professional, you can discuss ideas, and they can tell you if your plan is doable. Before you waste your time, hire a professional right here in Rhode Island. 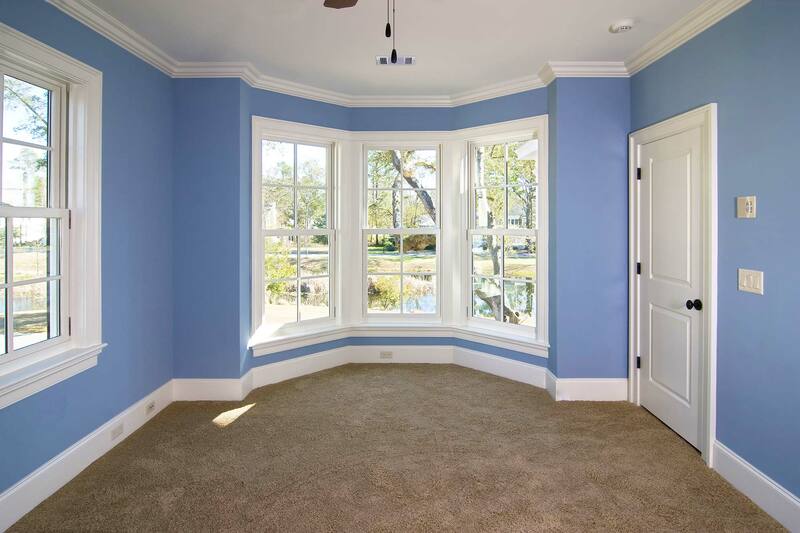 For spring cleaning and for some basic furniture installation, it is best to do it yourself. For tasks that require a bit more ambition, call a professional garage contractor. 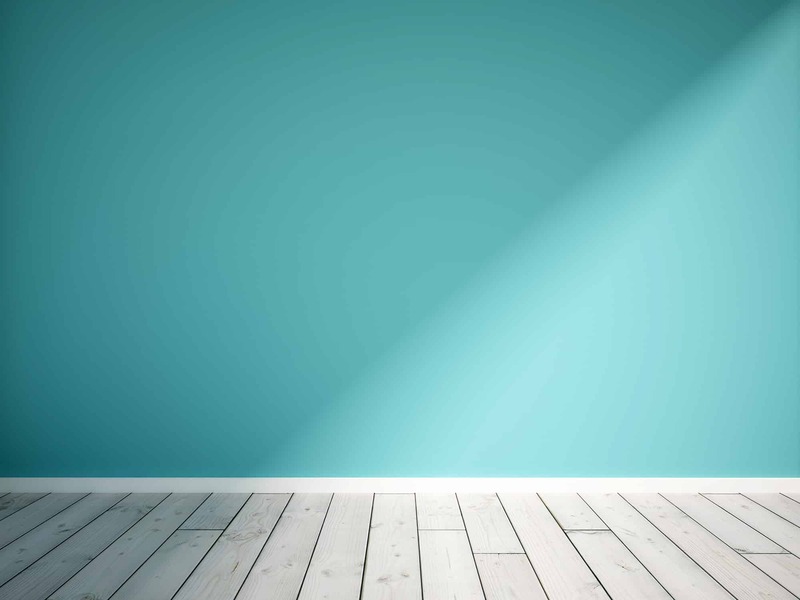 With the popularity and desirability of mudrooms skyrocketing, home buyers are either seeking them out, or at the very least, recognizing that they are a helpful addition that is worth a higher price. An inviting, organized entryway impresses anyone who walks into your home. 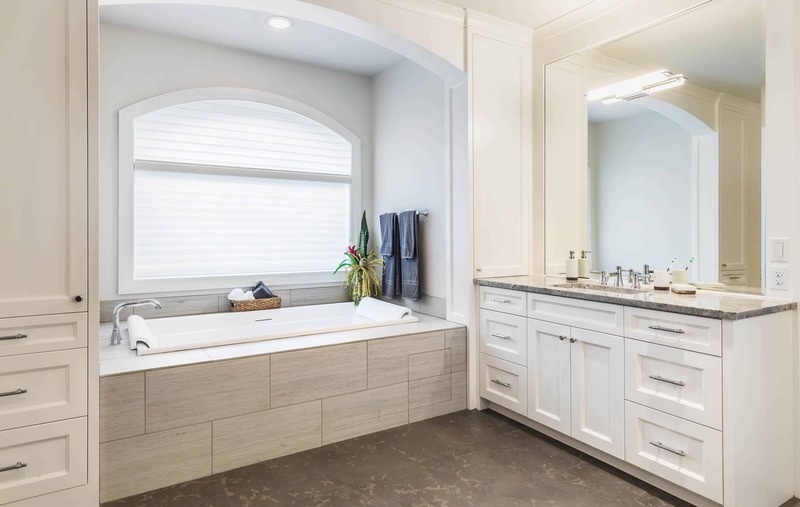 If it comes time to open the door to prospective buyers, you will be happy to have an initial wow factor that will have them envisioning this as their own clean, modern home. In this age of Ikea and cube storage and book titles like The Life-Changing Magic of Tidying Up, people truly believe that less is more. It’s not only important to overhaul the possessions that can rapidly collect, but to hide the things you do have. The key to modern mudroom cabinets is creative design that best makes use of space. 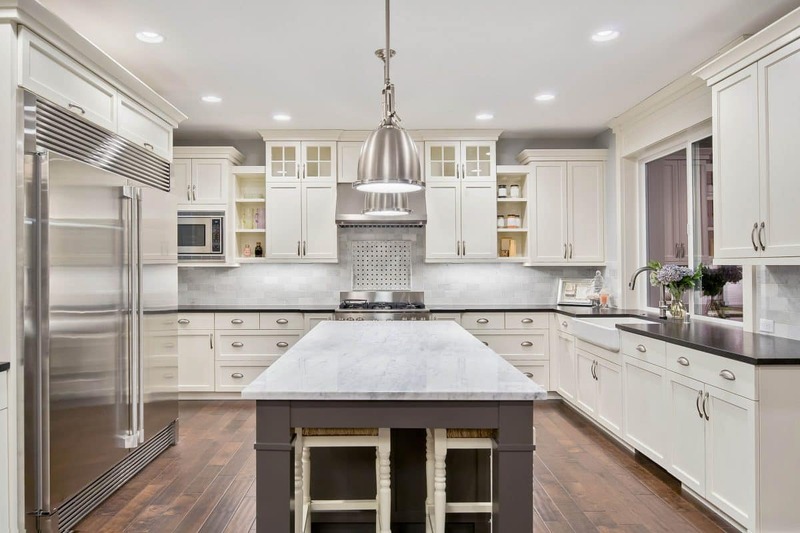 Be sure to pick a Rhode Island home remodeler who not only produces stunning work, but can consult on the initial design. 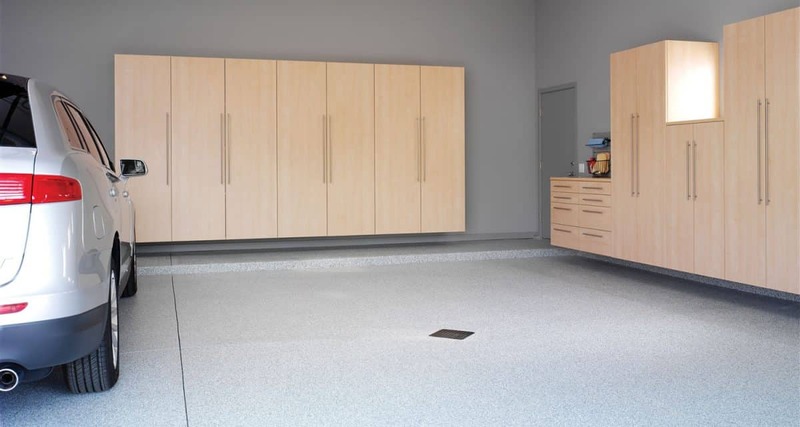 Mudrooms cabinets provide more space for creativity than do many other areas of the home because they are designed around every facet of your life. Choose what to display, what to hide, and what to incorporate with the cabinets (think benches, shelves, and hooks) for a look that’s as eclectic or tidy as you want it. A Massachusetts or Rhode Island mudroom contractor knows this better than anyone. Lived through mud season? You too understand the importance of a mudroom. Having a space for storing dirty shoes, wet coats, pool accessories, and other gear means that those items won’t migrate throughout your home. This preserves floors, baseboards, and even walls. Towels to wipe down a dirty dog, messy toddler, or adventurous spouse can be stashed right where you need them—in the entryway. Don’t forget that keeping your home clean and weather-free saves you money in the long run. Mudroom cabinets can be helpful in the summer, too. Whether you have a pool, live close to the beach, or love to head out the backdoor for a six-mile run, summer matters just as much. Trying to get better at putting on sunscreen? You know where to put it. You can probably think of dozens of items that you don’t want to keep in your home, and would rather not have to hunt for in the garage either. These can be cleaning supplies, certain craft supplies or tools, large kitchen items you only bring out for hosting, snow gloves, sun hats, and more. Store away anything that clutters up other areas of your home but that you know you can’t part with. Keeping these medium-use items in mudroom cabinets will allow the rest of your home to feel more light and airy. Do you really want a heap of stuff in some random spot? Purses on the bed? Coats dangling from the stairway? Depending on how fierce your love for entertaining, you’ve already bemoaned your lack of a routine storage spot. Holidays and parties and other gatherings have a clear solution. You can choose tall mudroom cabinets with hanging rods or add hooks along the walls next to the cabinets. 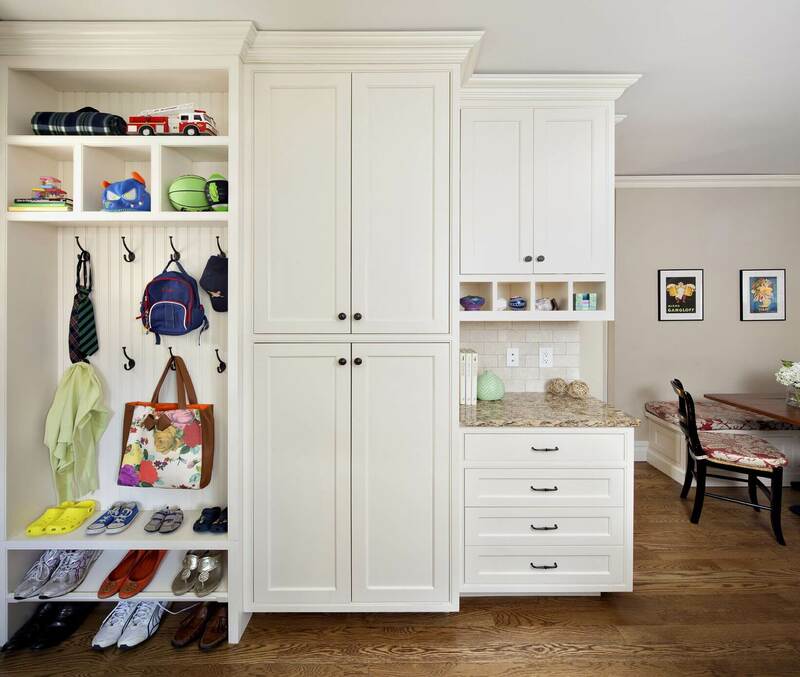 Either way, the chances are that when you have entryway storage, you will fill it up with your own stuff. If you entertain often, try to keep it scant. Or you can simply move your own shoes and coats in your closet for the interim, making space for your guest’s outer layers. So now you know what cabinets can do for a mudroom. 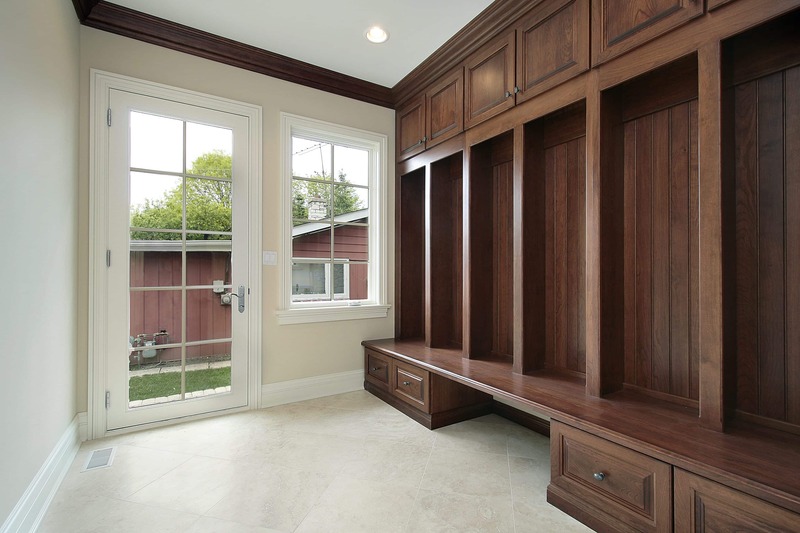 Ready to go all out and construct a mudroom from scratch? 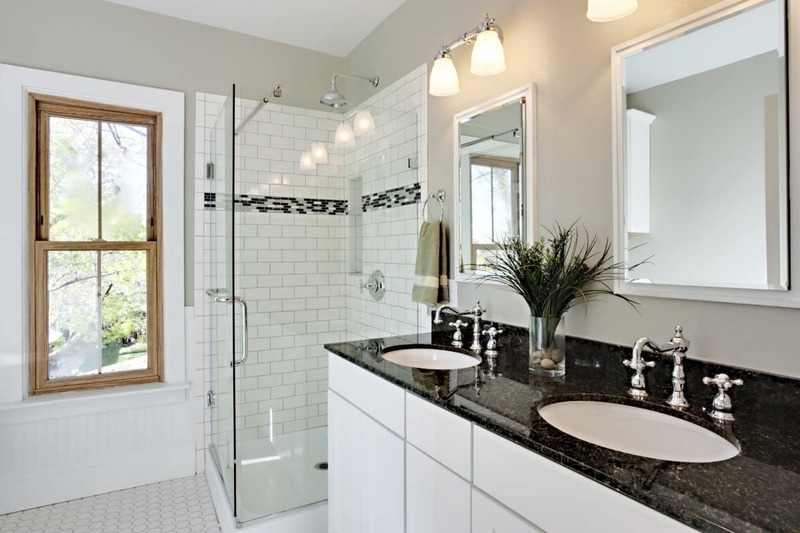 In addition to cabinets, you will want flooring that can be easily cleaned. For many Rhode Island and Massachusetts homeowners, this truly is a home improvement project that can improve the quality of your life.